It's not an Utopian Task Request. I searched open source project on GitHub and contacted the Project Owner by GitHub's issues then offered the PO a logo for the project. I showed my ideas, then the project owner give the suggestion. After I did some revisions and showed the result, The Project Owner agree to use the logo on the project. 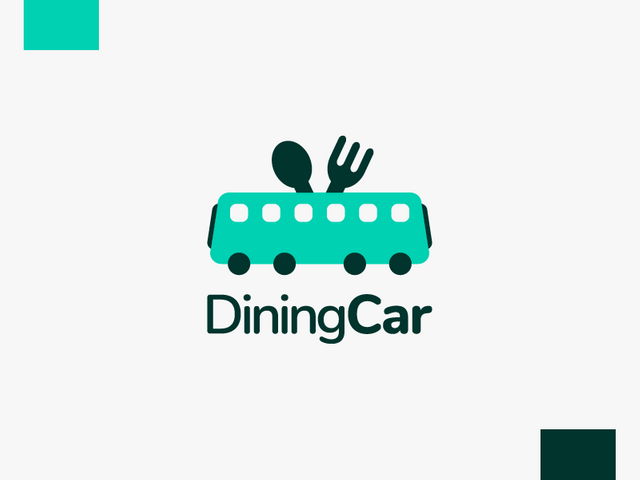 Dining Car is a website that run with Ruby on Rails. This website works as social network and recipe management. This website allows users to create, store and share their recipes. It is federation-enabled using the ActivityPub protocol used by softwares such Mastodon, Pleroma and Plume. Dining Car is heavily inspired by OpenEats, but its focus is slightly different. 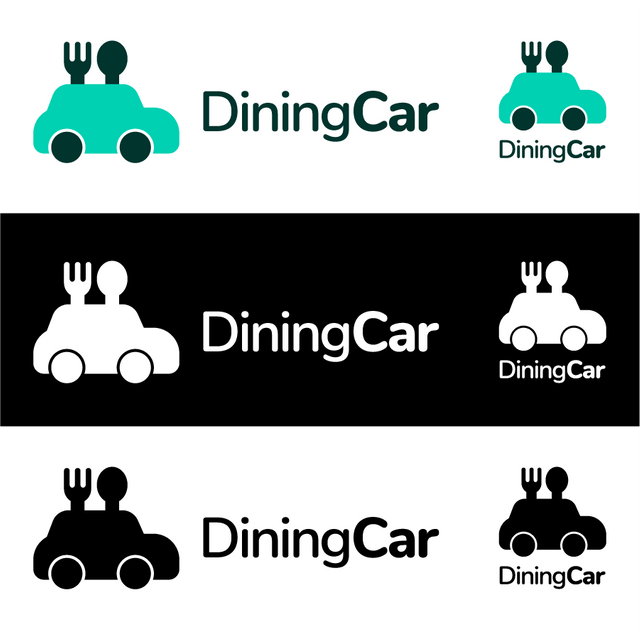 This logo design is trying to deliver idea about the dining car. Dining car is rail cart or wagon which has function as a restaurant. The main idea is combining the wagon illustration and dining tool illustration as representation of restaurant or food. Rounded shape is dominant in this logo design. So, for the logotype, I chose rounded font likes Nunito to make it corresponding. 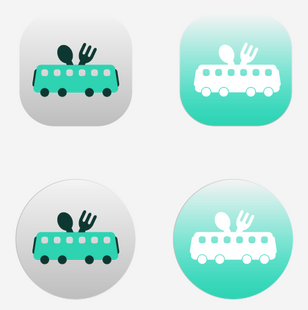 This logo design uses tosca or green color scheme that I get from the project's website preview. In other color versions, I chose blue and red color schemes, the generic color schemes besides its black and white version. At the beginning, I proposed two logo designs for the project owner. Then the Project Owner give some suggestions. After did some revisions, the Project Owner agree to use my logo. This logo help the Project Owner to improve the visual and identity of his project because this project didn't have any logo before. This logo will help to make interest of people to visit the Project Website. This logo is also simple, flat, and have the unique shape. Adobe Illustrator CC to design the logo and presentation. In my opinion the idea is good, but it's application is little bit generic. You could make the car more unique or provide better combination style. However, your logo design is right to the point and project owner satisfied with it. It is really good that you provided alternative versions to the project owner. In this way, you and project owner arrived to the final design easily. Also, you should increase the contrast level on here. Color combination is very bright and this reduces understandability.